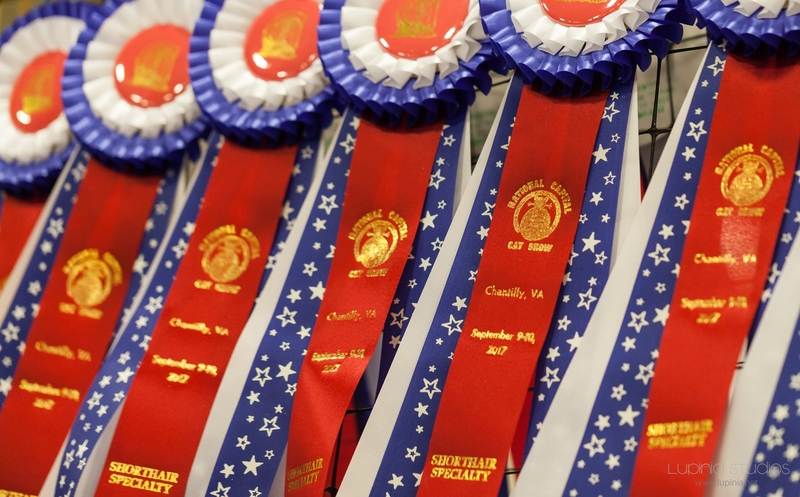 Awards for the National Capital Cat Show are staged and ready to be distributed. Which cats are the best? All of them, of course!